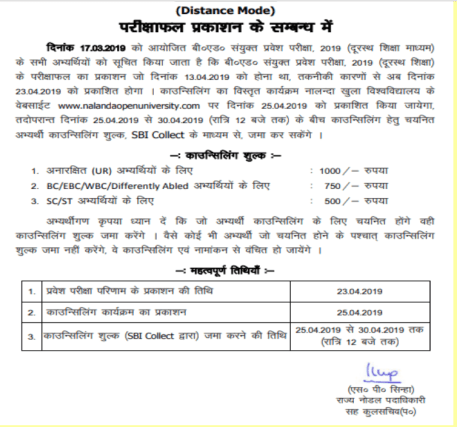 Bihar B.ED Regular Mode Counseling Fee Submission Last Date is extended to 29th April 2019. Candidates can check the information from the image given below. 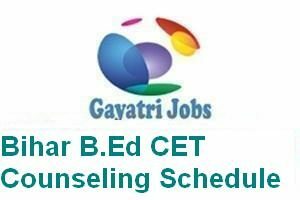 Nalanda Open University has released the Bihar B.Ed CET Counseling Schedule on its official website. Participants can check the information from the official website of the department and they can also check it from the link given below. 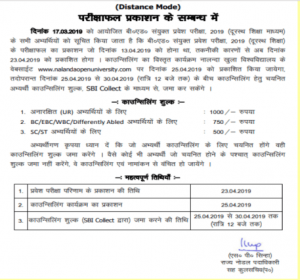 The Bihar B.Ed CET Counseling Schedule 2019 Dates has been issued by Nalanda Open University (NOU) for admission in Bachelor of Education (B.Ed.) Two Years Course. The Entrance Examination has been conducted on 10th March 2019 on the different test centers across the state.